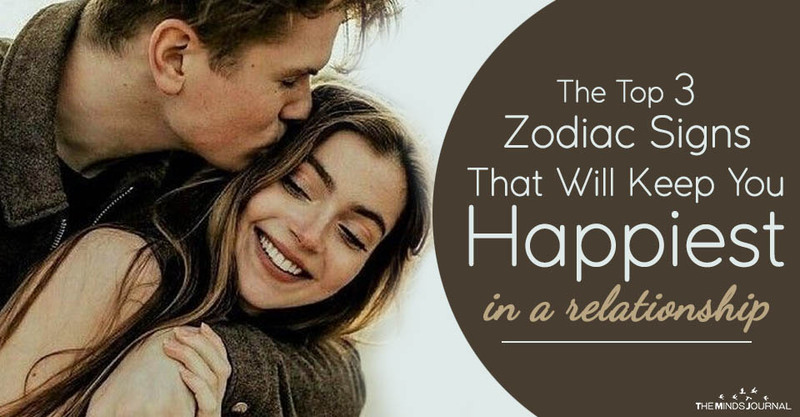 While we can never tell who destiny has in mind for us, we can take an educated guess based on the inherent traits we’re born with thanks to our places in the zodiac. These are the three signs that are best suited for you according to your own. Your perfect matches would be Leo, Sagittarius, or Gemini. Full of energy and passion, you cannot be contained and so you need someone who doesn’t fall behind when you’re blazing through life. They need to be able to match your speed at all times. With your larger than life personality, you also tend to intimidate people belonging to other signs who aren’t strong enough to hold their own. Your perfect matches would be Capricorn, Virgo, or Pisces. With your almost pig headed stubbornness and fiery temper, you like things as they are and you don’t like surprises. You prefer that your significant other also stays steady and consistent so that you can be sure of what they’ll do. Staying in control of what is happening around you is essential for you to be happy. Your perfect matches would be Libra, Aquarius, or Aries. You are so energetic that there are times when others think you’ll never tire out. Thanks to all that energy trying to burst out from you, you can never concentrate on one thing for too long. If your significant other doesn’t have the same energy, you’ll make them crash and burn. They need to be as passionate and curious as you are about all things. Your perfect matches would be Capricorn, Virgo, or Taurus. Your sensitivity and gentleness ensure that you nurture everyone around you as much as possible. Kindness and warmth surround you like an aura that draws others to you. But in the process of caring for them, you tend to forget about yourself so you must be with someone who cares enough about you to do that for you.